Do You Suffer From Chronic Pain and Other Health Problems? If you endure chronic pain daily, chances are you’ve already tried prescription drugs, consulted with your medical doctor, gone to physical therapy, maybe even had chiropractic treatments and you still have pain. Is it frustrating that you’ve tried so many things only to achieve only temporary relief at best? Would you like to be rid of your pain once and for all? The GOOD NEWS is that you may not have to continue suffering! Do you ever find yourself asking any or all of these questions? Why does my back (neck, joints, elbow, knees) hurt? If any one of these problems is affecting the quality of your life, then you need to consider an alternative treatment right now! Even if you’ve been to other acupuncturists before. Why? 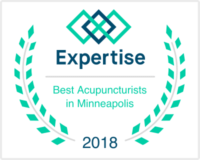 Because our acupuncture at Complete Oriental Medical Care in Edina, MN is different. It will relieve your pain quickly and effectively. Call now at 952-831-8080 or go to our contact page now. Chronic pain is an indication that something is not normal. It is a sign that something is wrong. Your body is designed to be pain free. Even an occasional pain is a sign that something is not quite right. Isn’t it disheartening to feel alive, and yet not be able to do all the things you want to do because the pain you suffer from is so inescapable, so intruding, and so wrong? Don’t you flat out feel angry because this pain just won’t go away? Maybe you’ve tried to tough it out and get on with your life. But, as time goes on the pain just gets worse instead of better, no matter how hard you try to ignore it. Pain medications may temporarily mask the problem but they do not address the root cause of the pain. We hear news reports every other month about more drugs being taken off the market because of their dangerous side effects. 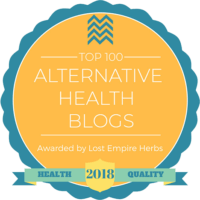 At the same time, while you’re at a greater risk to only make your pain worse, you are putting yourself at risk to suffer from the nasty side effects of the most common pain relievers that can damage your liver, kidneys and stomach. The number of people in the U.S. using acupuncture therapy has tripled in the last 10 years according to a recently released federal report. Recent research showed Acupuncture Works Twice As Well As Conventional Therapy for patients with chronic low back pain. (Archives of Internal Medicine). A team of researchers looked at the effectiveness of acupuncture verses a variety of drug therapies in treating migraines. Published in The Journal of Traditional Chinese Medicine, it showed patients treated with acupuncture experienced fewer migraines, suffered no side effects, and missed fewer days from work. Researchers found that acupuncture is more cost effective than drug therapy in treating migraines. If you’ve already tried acupuncture you might not have gone to the right acupuncturist. 95% of all acupuncturists in the U.S. and China practice TCM style acupuncture. The results are usually slow. You want to select a professional who offers the most powerful style of acupuncture. Throughout the years, I have researched and tried almost every style – TCM, Japanese, Korean, auricular…in search of finding the method that would help my patients the most. But, what I offer is a very ancient method of acupuncture with quick, long lasting results. Most of acupuncture clinics in the United States use a method of inserting needles directly into the area of pain. The problems with this are: 1) the results are not consistent or reliable and 2) there is a risk of creating trauma at the injured area thereby making the pain worse. At Complete Oriental Medical Care, Steven Sonmore, L.Ac. is an expert in a different style of acupuncture. This method is over 2,500 years old. This method has several names such as: “The Balance Method,” or “I Ching Acupuncture.” The results are nothing the less than astounding. Another big concern for many people is “Do I have to undress to receive acupuncture?” In our clinic the acupuncture points used are on the arms from the elbows to the fingers, on the legs from the knees to the toes and on the ears. So you never have to take off your clothes and the treatments are efficient, comfortable and extremely effective. When you have back pain, it’s only commonsense to think that you’re going to have to go see a back specialist…CAT Scans, X-Rays, blood tests to see how your back is functioning. But in other medical traditions around the world, the human body is looked at from a broader perspective. Chinese medicine views the body as a whole and treats it as such. We view backaches not as a problem with just your back, but as a stagnation of the energy flowing throughout your body. Acupuncture is based on the premise that your body is electric and that energy flows along pathways the way electricity flows throughout your house…along circuits. If the flow is interrupted, everything along that circuit will not work properly. No matter if you’ve tried every drug and gone to every specialist and found no help, our acupuncture is different. The truth is most of our patients trying acupuncture for the first time have already tried everything in conventional medicine but to no avail. 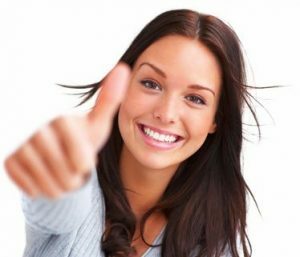 We have successfully treated thousands of patients and we can help you too! 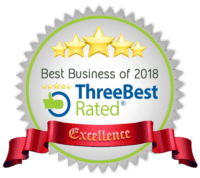 Read our acupuncture reviews from our Edina clinic to see what our clients have to say. Free! Get our latest report explaining why acupuncture (which is more relaxing than you think) has become the most effective, fastest growing and most recommended treatment of doctors for long-lasting, non-drug pain relief in the US. Find out why so many pain sufferers get relief fast at our Minneapolis Acupuncture clinic.